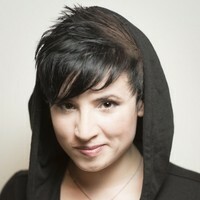 Laurie Penny is a journalist, an author, a feminist and a net denizen. She is Contributing Editor at New Statesman magazine, and writes and speaks on social justice, pop culture, gender issues and digital politics for The Guardian, The Independent, Vice, Salon, The Nation, The New Inquiry and many more. 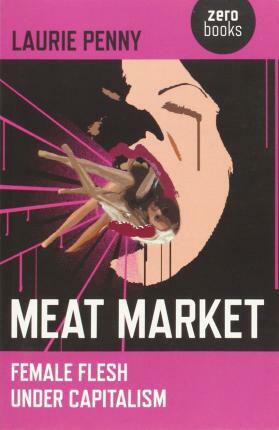 She is the author of Cybersexism, Penny Red and Meat Market: Female Flesh Under Capitalism, as well as Discordia: Six Nights in Crisis Athens, co-authored with Molly Crabapple. Her book, Unspeakable Things, was published by Bloomsbury in 2014. In 2010, at the age of 23, she was shortlisted for the Orwell Prize for political writing. She is a frequent guest on national television and radio, has appeared on Question Time, Any Questions and Newsnight for the BBC, as well as Al-Jazeera and Democracy Now, and has given talks at the Oxford Union and the London School of Economics.